year long as an owl lover and collector. He is made of mouth-blown glass and then carefully hand painted and detailed with sparkling glitter. Instead of hanging on your tree like most ornaments he clips on. That way he will look like he is actually perching in the branches. It will be an ornament your family will hand down from generation to generation. 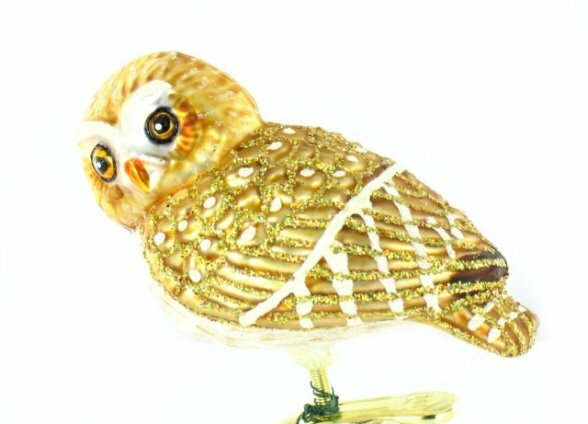 This ornament makes a great gift, especially for those who love birds or collects owls. It would have been the perfect gift for my grandmother back in the day. To order a Pygmy Owl Ornament for your tree, or as an incredible gift, click here.